We have put together a list of our favourite bedtime stories. We hope you will love them as much as we do. First up is Migo & Ali: Stories of the Prophets by Muslim Children's Books. This is an absolute must have in your home library. It contains stories of 17 Prophets. The thing I love most about this book is the way it is written. The language used is perfect for children, which is an extremely rare thing to find. The illustrations are bright and engaging. Each story is nice and short so perfect for bedtime reading. If your children are anything like mine its never just one story that we read before bed, so this is perfect! The Prophets Pond by Learning Roots is another of our favourites. My children are a bit too young to appreciate just how special this book is but they loved the bright and different textured illustrations. It also has no faces inside. This is a lovely start to teaching your children about the Prophet (saw). Princess Esme and the Royal Secret is one of my 3 year olds absolute favourites. I have lost count of how many times we have read this. 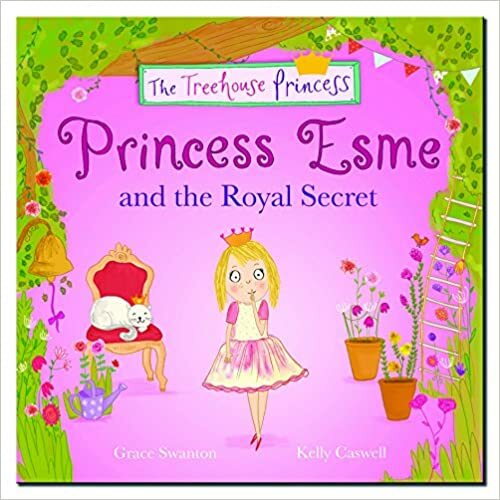 It is about a little girl whose Dad builds her an amazing tree house, when she goes inside it turns into a palace and she is the Princess! My 3 year old loves anything about princesses so this is perfect for her. My First Quran Storybook by Goodword is the perfect starter Quran for your little ones. It has bitesize stories inside so it is another great one for bedtime. It contains 42 short stories. Teaching our children to read the Quran is amazing but we also want them to be able to relate to the stories in the Quran and implement them, so it is really important to also introduce them to the stories of the Quran in a way that they understand. This book is perfect for that. You can read one short story each evening and you will still have time to choose another different book to read after. Don't forget to say Bismillah by Desi Doll is our absolute favourite sound book! Whilst reading through the book, every time you come across an Islamic phrase, you can press the corresponding button. These include Assalamu'alaikum, inshaAllah, Alhamdulilah and many more. This book is a really great way to introduce Islamic sayings to children from a young age, whilst having fun and learning at the same time. The story is great for bedtime and although it is for 3+ my 2 year old also loved it! The Story of the Elephant by Shade 7 is another one of our favourites. This is the first Islamic pop up book we have found and it is amazing! It even comes with activities at the back to encourage further learning of surah Al Feel. It is interactive and allows children to really see the story of the elephant through creative animations and popups. It makes the surah real for them. This would be a great book to start a project with throughout the day and then remind them of the story before bedtime. 7. Can't You Sleep Little Bear? 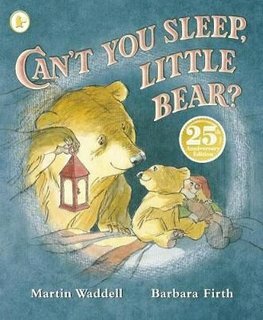 Lastly on our list is Can't you sleep little bear? by Martin Waddel. This has to be one of our all time favourites. My girls find it quite hard to fall asleep, and they have both had their fears of the dark. This book is really lovely for showing them that the darkness isn't scary and there is so much more around us that we can't see. It has such cute illustrations and is a book that you can read again and again, trust me, we have! We really hope that the list is useful and you grow to love these books, just like we do. Reading with our children is so so important, and is really enjoyable when you have the right books. Write in the comment section below.